Strain gauges have many uses in several fields. The device is defined by its ability to measure the “strain,” or the ratio of resistance change of a material body dependent upon the force put onto it. In the medical field, strain gauges are incorporated into instruments such as syringe pumps and kidney dialysis machines. The measurements offered by the strain gauge help monitor fluid flow rates. Therefore, you can see the many benefits of this technology. Original equipment manufacturers, or “OEMs,” have seen the practical applications of wireless force transducers aid increased sales. The contribution of this technology has seen a reduction of man hours required for maintenance due to its precision and effectiveness. Although medical device OEMs must comply with federal regulations, their in-house expertise allows them to expedite the building of samples and performance tests. A reliable supplier of these items knows the impact strain gauges have in the field and are committed to quality assurance. 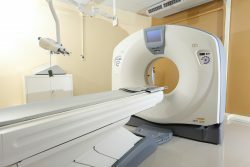 Wireless strain gauges have been implemented in many other devices like mammography and CT scan machines. Wireless transducers work in this regard by monitoring the precise movement and force applied to the patient. This in turn leads to more accurate readings, a great advancement in this technology. Gauges are also used in medical weighing and patient lift systems as a means of monitoring weight distribution. All these applications have made the strain gauge a top requirement for newer medical devices, as it is clearly proven in the field that they’re effective.